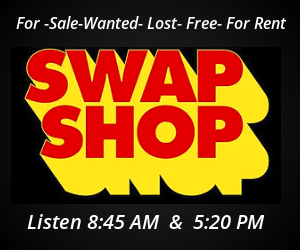 Email for submitting Swap Shop items can be found at the bottom of this page. For Sale- An Oak pedestal dining table, with four chairs and extra leaf. Asking $80. Call 706-892-4960. For Sale- A wood pull down attic ladder – fits 24″ opening $20. 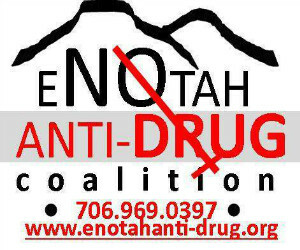 Call (706) 878-4620. For Sale – A sofa and love seat, cloth- beige/brown coloring. $200 for both. Leave message at 706-878-6199. For sale – 2008 Yamaha Royal Venture V-4 motorcycle with 30,000 original miles. Burgundy color., full dressed, CB, etc, new tires, new battery. Garaged kept and in very good condition. $7,300 OBO. Will consider partial trade and cash. Call Dan at 706-200-6826. NO CHECKS. NO HOLDS. No delivery. For Sale – Teen dresses including “prom dresses”! Great deals! 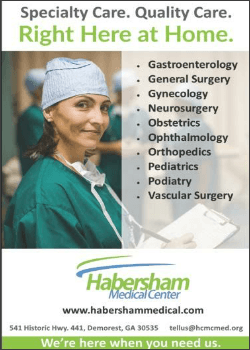 Call 706-200-7059. For Sale: 2004 Ford Crown Victoria with 76,000 miles, white in color. Car is in impeccable shape with no dings or dents and no stains on the carpet. Car has been serviced regularly since purchase according to recommendations from the dealership. Electric windows and locks with leather seats. Car is in the Cleveland area. Please call 706-865-4653. For Sale By Owner – 3 bedroom / 2 bath House with single garage located in nice quite subdivision in the city limits of Cleveland at 131 Robinhood Drive. Additional lot also available for purchase. Only serious, pre-qualified inquires please, leave message at 706-878-6199. For Sale- A 125 gallon aquarium tank, ( 6’ long, 21.5 “ high and 20 inches deep). Black wood stand, with doors, includes glass cover 2-flourescent lights, two 300 watt heaters, Hurricane CAT five air pump with two ports and Plastic plants. A 55 gallon tank, black wood stand with shelves and doors, fluval #306 canister outside tank filter including glass covers, LED light, heaters, Hurricane CAT five air pump with 2 ports and plastic plants. Call 706-768-0232. For sale – Two beautiful glass framed pictures of flowers, $70 for both. Canyon Cove Coffee table and End Table, Purchased at Babcock Furniture, Purchased both for $378, In perfect shape asking $200 firm for both pieces. Don Sullivan’s Perfect Dog DVD Set $30. One 50lb bag of fescue grass seed, never opened $40. An extra-large Dog Crate. Brand name is Retriever, never used, for pets over 70 lbs Call or text 678-628-8224. For Sale- A Baja Mini Bike, new 6 1/2 hp. motor $300 or best offer. Call 706-246-0587 Please no late night calls. Leave a message if no answer. For Sale – One Queen Size Mattress/ Boxspring. Used in Guest Room and hardly ever used. Kept Covered and in Excellent Shape $125. One Twin Mattress/Boxspring for $50 or both for $150. One Nice Plush Living Room Chair in excellent condition $60. One Solid Wood with Glass top coffee Table for $40. Call or Text 678-300-5140. For sale – Brand new power chair comes with outdoor cover, accessories, power lift for vehicle with wire/connector and information book, $2,500. For Sale- A Bridgestone tractor tire size 12.4 x 11-28 with good tread with no cuts asking $200 or best offer. Call or Text 706-244-9741 leave a message. For Sale- Two, Horse model Troy Bilt rear tine tillers. One has electric start, front bumper and furrow. The other has front bumper, $300 each or take them both for $500. Heavy Duty 7 ft. three point hitch landscape rake $525. Three point auger with bit, asking $475. Heavy Duty three point or front loader forms, $425. Two horse slant load bumper pull trailer with tack/changing room, good floor, good trailer, asking $2,500. Call or text 770-654-1163.